The Bar Standards Board (BSB) will say today that new rules on publishing prices should extend to referral barristers as well as those handling public access work. It is the last of the main regulators to issue a consultation on how it will implement the Competition and Markets Authority’s (CMA) recommendations to increase transparency for the consumers of legal services, the deadline for which was 30 September. Though the CMA was clear that its focus was on public access barristers, the BSB says the suggested minimum disclosure requirements should apply to barristers undertaking referral work where the client is entitled to complain to the Legal Ombudsman – mainly individuals, ‘micro’ businesses, small charities and trustees of small trusts. The consultation also asks whether the disclosure rules should also apply to referral work that is within high-risk practices areas such as immigration, crime and family law. A paper before last week’s BSB board meeting said it was “possible that the new requirements could lead to a general culture change towards greater transparency in the profession, with greater transparency even in areas to which the requirements do not apply”. In common with the other regulators, the BSB envisages barristers publishing their pricing and charging models, hourly fees (where charged) by grade of staff, indicative fixed fees (where charged) along with the factors that may affect these and the circumstances where additional fees may be charged. On service, barrister would be expected to describe the services they provide, indicative timescales for completing services and the facts affecting these, regulatory status and registration details, and the complaints process. The consultation discusses two options for how barristers might comply with disclosing prices: the first would see each barrister publish their own prices for their three most common type of case on their chambers’ websites, while the second involved chambers themselves publishing “blended” information, such as ranges, indicative fees for standard work or average fees. Where there barristers engage in price discrimination – “an example would be practitioners setting different hourly rates depending on the client: low for government bodies, medium for non-departmental public bodies and high for corporate bodies” – there would need to be a reference to possible flexibility on their chambers’ websites or risk certain clients assuming that they could not afford legal advice or representation. Other issues in the consultation include providing first-tier complaints data on chambers’ websites and using the BSB’s logo. A BSB spokesman said: “Our view is that there must be a balance between improving consumer understanding and genuinely promoting competition on the one hand, and not overburdening barristers and chambers or producing information overload for clients on the other. “We think that we have outlined an approach that would achieve that balance, but we are open-minded about the best way forward and want to hear views from consumers and from the Bar. Meanwhile, in its consultation, the Council for Licensed Conveyancers urged its regulated firms to improve the way they promote the features and quality of their services to help consumers move away from a focus on price alone. The CLC also proposed that firms publish client feedback either on their own websites, or via comparison websites, and making it mandatory that firms should have to use an estimate generator on their websites or alternatively publish a full price list. The CLC said it was already working with the Solicitors Regulation Authority and CILEx Regulation to agree a standard format for the delivery of price estimates for conveyancing and probate work. 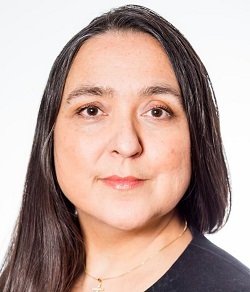 CLC chief executive Sheila Kumar, who chairs the legal services remedies programme implementation group – through which the front-line regulators are coordinating their responses to the CMA – said: “It is vital to empower consumers and in turn continue to foster competition and innovation in the legal services we regulate. “We are also very conscious that this work should not be all about price and we will do what we can to help firms signal the quality of their service to clients. CILEx Regulation’s consultation proposed that price transparency would apply initially only to conveyancing and wills work before expanding into other areas of practice. It included a suggested requirement that the firms it regulates publish details of their professional indemnity cover and availability of the regulator’s compensation scheme. Sam Younger, chair of CILEx Regulation, said: “We recognise the CMA findings that the legal services market is not working as well as it could for consumers. Barristers don’t sell legal burgers.